Welcome to the "Love your Pet Card Hop"
To celebrate the launch of two new rubber stamp sets from JessicaLynnOriginal.com we are hosting the "Love Your Pet Card Hop". We are going to be raising money for a local group called Lucky Mutts Rescue. 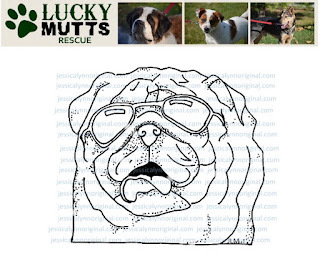 (https://www.luckymuttsrescue.org) For each card that is uploaded on our linky featuring a JessicaLynnOriginal stamp or not we will donate to this amazing charity. For each set of the Flynne's Puppies and Celine's Kittens, we sell during this event we will donate $1.00 from each of those as well. All of our cats stamps: here. All of our dog stamps: here. If you want to donate to them directly just click here for that information. Be sure to tell them you came from our hop! If we raise $50 or $5000 all of the money This is our first year, so I am hoping that we can do this each year.. and add more and more people to our event! Be sure to share this event with your friends and other crafters! blessed to have them as members of our family! Be sure to create an amazing post on your blog or youtube channel to link it to this linky! Be sure to share an image of the amazing pets in your life! The cards that you post must be "NEW" cards. Please do not link old cards as they do not count toward our event! Don't forget to comment on the posts below!! If someone comments on all we might have a VERY special prize!!! 1) Grand Prize Winner from the card entries will get $40 toward the items of their choice on the JessicaLynnOriginal.com Website. 2. Two Winners - $4.00 Gift Certificates for JessicaLynnOriginal.com for a free digital stamp of their choice. 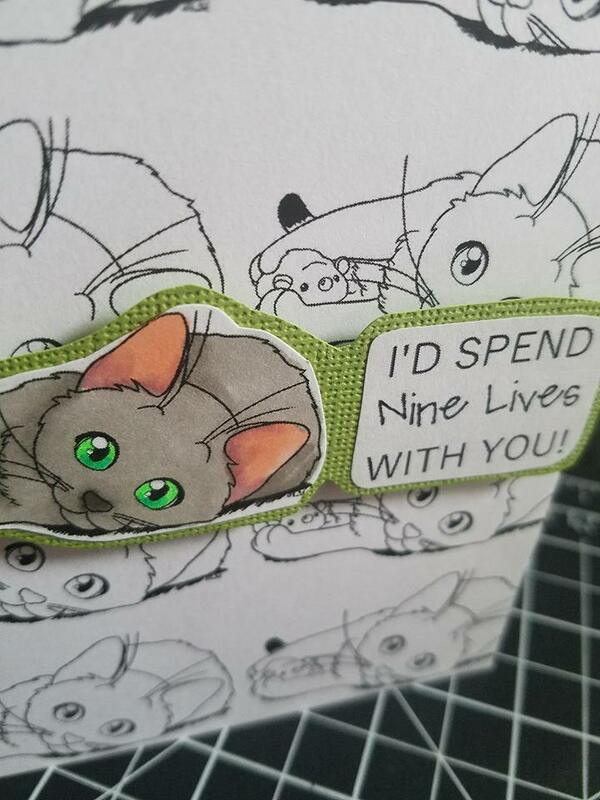 All 9 Lives with You. 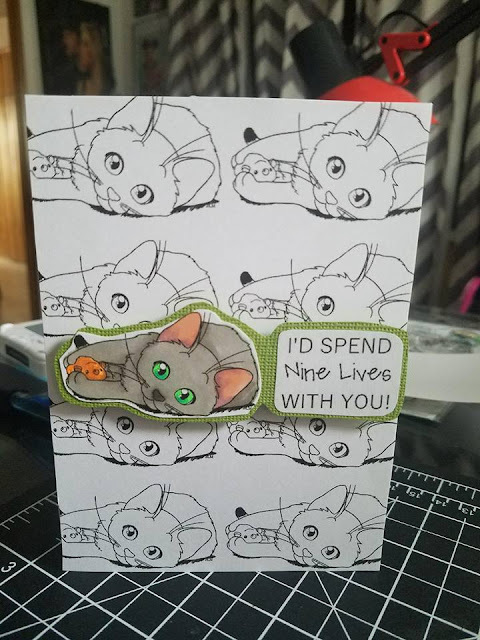 I wanted to create a card that really showed off all nine lives, so there are eight shadows of this adorable cat in the background and one that is currently living his life. I love this. It was very simple to create. I stamped that kitten all over the background in a grid pattern I needed to make sure that all eight of them showed up on the card. Then I stamped the last one and colored him in. I used my copics and glitter pens. I mounted it on a green cardstock to make the eyes pop. Then I added foam risers to the back and boom! 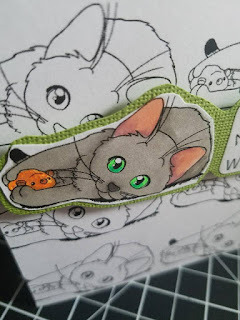 This stamp set is part of my newest launch Celine's Kittens. be sure to pick it up today. Also from 4/21-4/29 the LoveyourpetsHop2018 is going on! be sure to take a look. When I was maybe seven years old my Dad asked me what I wanted to do when I grew up. I wasn't sure and I said a photographer. I had no idea. He said well, that is a market that has a lot of people in it doing the same thing. You are going to need to figure out how to find you! Find the things that make you special. Now, this was back in 1980-something.. so there wasn't a thousand How-To books, or YouTube videos to inspire me. He spent a lot of time talking to me about how to find me, how to find that different. But at seven I wasn't listening.. well I guess I was. So much of what he taught me and make me think about are how I run JessicaLynnOriginal.com. He passed away when I was in High School and I can not imagine trying to express as much data to a young child knowing that you might not make it and see them ever apply it. Wise beyond his time. My art is just different, I love focusing on something that makes me unique. I feel that there is a lot of stamp companies and I love being unique and not creating what everyone else it. Only now almost 25+ years later are the lessons he taught me actually meaning something. I have two young daughters I I focus to be the best owner of JessicaLynnOriginal.com that I can be. 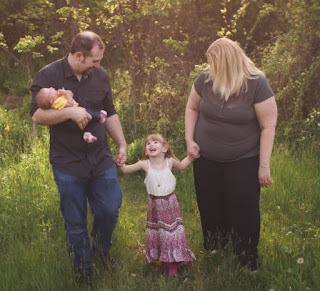 My goal is for them to learn as much from me and I did from my Dad. I want them to be ready to take on this world head-on. I want them to be inspired to push for their dreams and the courage to get them! Well, I hope to inspire you in two ways. ONE - If you have been blessed to have little ones in your life - share with them what makes you special. Teach them how to do it too. They are watching and they want to learn. They might not know that at seven or younger, but they do! Share your crafting, your time, and your passion. You might be surprised to see what comes next. TWO - if you have a male in your life make sure they go for regular visits to be tested for prostate cancer! Thank you for visiting my blog and being a supporter of my stamp company. It means a lifetime of love and dreaming every time that I get to ship out an order. Top 7 Items you need to start card making! Are Justin Bieber and Hailey Baldwin planning their wedding? 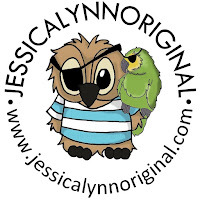 ©2018 JessicaLynnOriginal.com POLICY: All of the artwork found here at JessicaLynnOriginal.com is handdrawn by me, Jessica Lynn Mould, and is protected by copyright. I reserve all rights to my illustrations. ©2018 JessicaLynnOriginal.com & Jessica Lynn Mould. Awesome Inc. theme. Powered by Blogger.